Today I have a great new giveaway for you all from the lovely guys at Ulster Weavers, Ulster Weavers Home Fashions is a home textiles company based in Holywood, Northern Ireland providing high quality and beautifully designed products. 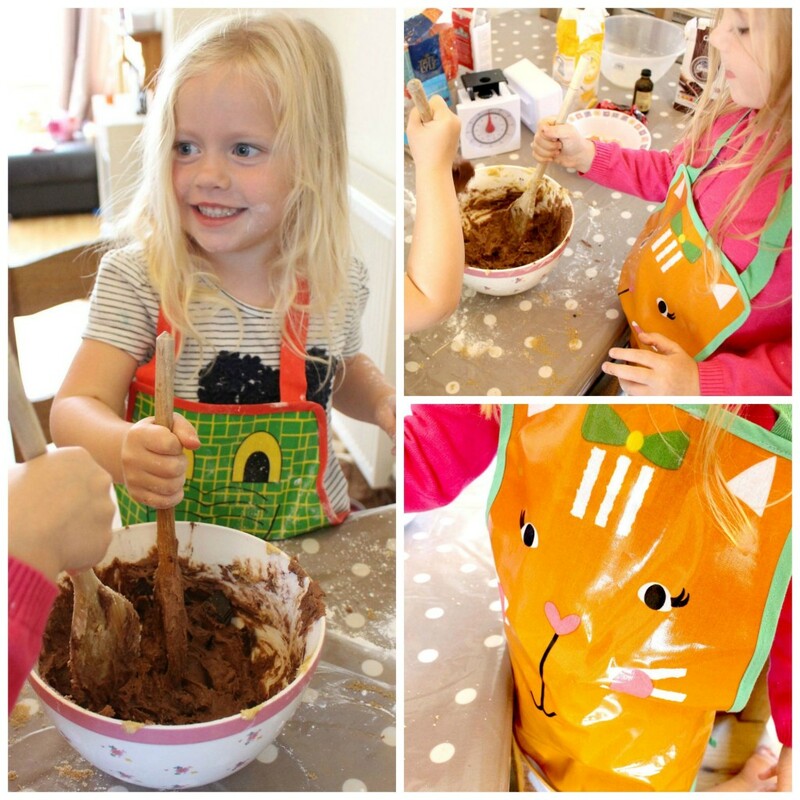 With the summer holidays approaching I though this competition would be perfect we are giving one of my readers the chance to win a super cute apron and lunch bag for the little ones so you can be prepared for some lovely summer picnics and a bit of messy play and baking at home. Beautifully designed there is a style to suit all and the wipe clean PVC material makes them so practical I have been sent some for the kids and they love the bright colours. As you can see we have been putting them to the test with a bit of baking this week! They look great and kept their clothes mess free, I on the other hand was covered in flour! 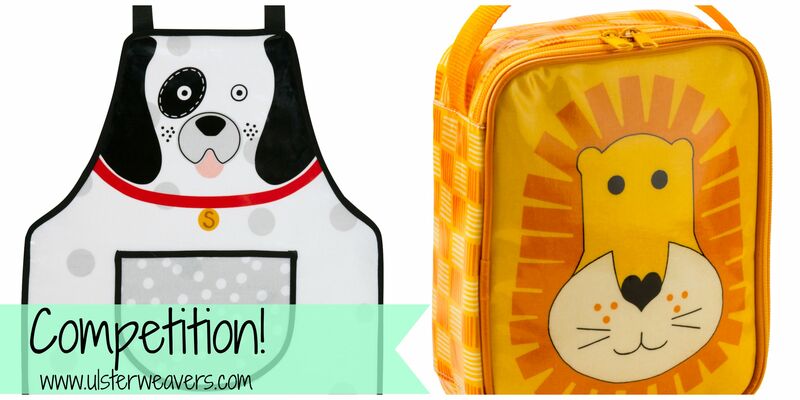 Back to the giveaway we decided on the cute spotty dog apron and the lion lunch bag as they’ll be great for a boy or a girl Ulster Weaver do have a great range of different designs available so be sure to check that out. To be in with the chance of winning this lovely prize please follow the rafflecopter instructions below. Competition will end midnight on 31/07/15 one winner will then be selected at random. Love these Hope I win! Fab Prize! there so cute! Love the panda and ladybird! 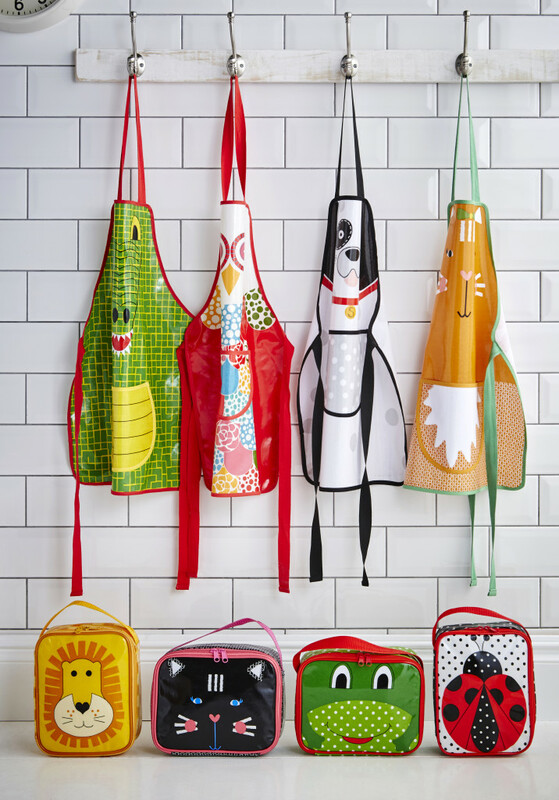 My kids would love these aprons and matching boxes, they could help me cook so little cakes and then keep them in their lunchboxes for a special picnic! Your girls chose well,these will be loved by either boys or girls.I really love the rather wonky,spotty dog apron.I don’t suppose you’ll come round and clear up for me,my two grand-daughters have lots of fun but,oh my days,the mess ! Great prize- they look lovely! So cute. I have two three year old nephews who are obsessed with baking buns, so these would be perfect. Thank you for this, so colourful and lovely! Thanking you for the chance. These are adorable! Never seen anything like them before! So cute! My little girl would love one! These are really lovely! We love baking here! Am teaching my niece to bake during the holidays. not today though as its a picnic at the park this afternoon as the sun is shining for once. Love the bright designs.My son would love these. Would love the lion lunch box for my son, Leo!